Does Google Have a Mole at Twitter? Google may have a "high-level" corporate mole inside Twitter, if TechCrunch's Michael Arrington is to be believed. According to Arrington, "multiple sources" say Google "may have paid" as much as $150 million in stock grants to retain employees Sundar Pichai and Neal Mohan. Both Pichai and Mohan were offered the role of product development leader at Twitter, yet both declined -- thanks to Google's offer of $50 million and $100 million in stock grants, respectively. 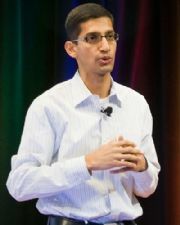 Pichai is a vice president of product management at Google, and responsible for desktop strategy and leads the Chrome OS team. 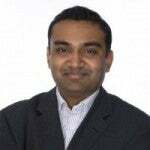 Mohan is also a vice president of product management at Google, where he runs DoubleClick, the Internet ad company. Arrington cites "multiple sources," but all are unnamed. Twitter CEO Evan Williams stepped down as product development leader this year, and Twitter cofounder Jack Dorsey stepped up -- after Pichai and Mohan turned down the position. This doesn't quite point to a corporate mole. After all, companies are known to make counteroffers if they suspect or know that their employees are about to be poached. What raises Arrington's suspicions is that, apparently, in at least one of the cases Google made the counteroffer before the employee even told Google he were considering an offer from Twitter. Of course, what makes it sketchy is not that Google made a too-quick counteroffer; it's that Google made a too-quick counteroffer of $50 million or $100 million. That's not exactly money that gets tossed around because of uninformed suspicions. Citing more unnamed sources, Arrington says that someone with access to Twitter's "most confidential information" may be leaking information to Google, and the people at Twitter are "steaming mad." Both Google and Twitter declined to comment. Interesting stuff, but all very speculative. I do have some advice to people who work for Google, though: start interviewing at Twitter, because you may end up with a $100 million bonus in your lap.